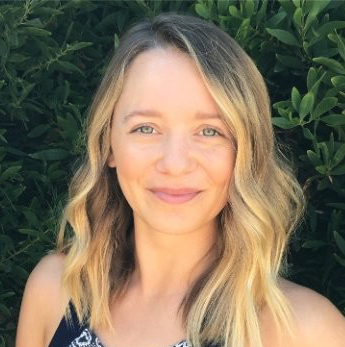 Shanann Klaver Monaghan is the Director of Customer Marketing at Looker. Enter your email and we'll send you our entire tactical guide to growth marketing. Thank you! You will receive the PDF by email. Download it now by clicking here. “Growth Marketing” doesn’t stop once you acquire a customer. In fact, current users are the most overlooked and untapped gold mines of growth. Because here’s the simple truth: engaged users spend more money. The good news is that by driving user engagement, you’ll open up opportunities to upsell, cross-sell, and even more importantly – you’ll be building a solid group of advocates. 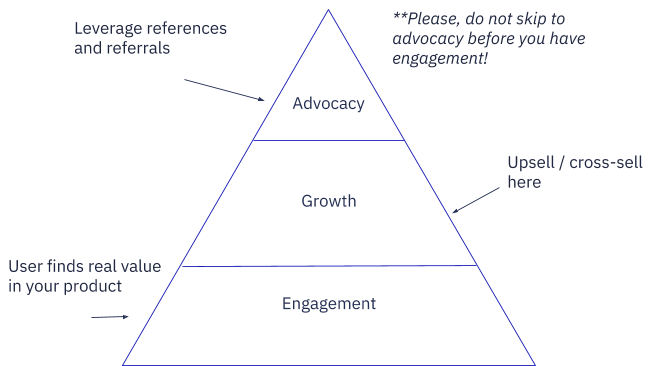 ‍The steps to advocacy and growth begin with proper user engagement. But before your users can go shouting off the rooftop – or off the pyramid, in this case – about how your product changed their life in x, y and z ways, you first have to focus on building a solid foundation through user engagement. In essence, you have to put effort into making sure that your user finds real value in your product – or they simply won’t have a reason to climb to the top of the pyramid. That being said, you need to take an authentic approach to how you engage with and grow your user base. In-product messaging is one of my favorite ways. Every business should be able to answer this question, “When our user does X, they get value from our product”. In other words, it’s crucial that you have a solid understanding of the value that your product brings to your users, and that your users have this X factor moment during onboarding (which may be the first session or first 30 days, depending on the product). Often, the hard part is figuring out what your X factor moment is. This may require some research and testing, but, once you’ve got that locked in, you have a clear strategy for launching in-product messaging: point customers to your number 1 value. In other words, don’t expect your customer to figure out the value of your product all by themselves. 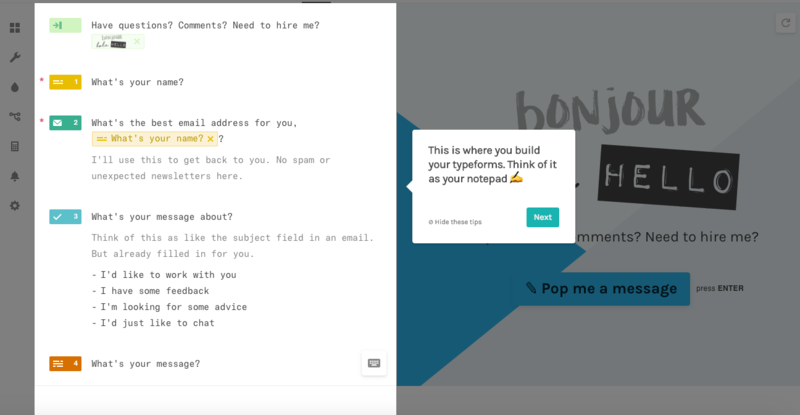 Showcase your value, front and center, during onboarding. 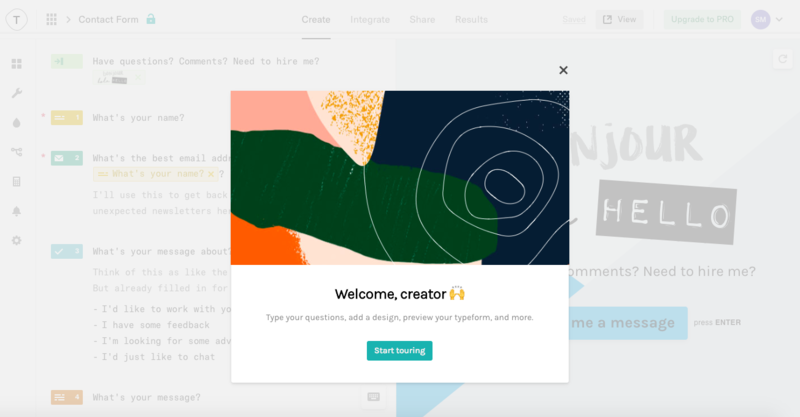 For example, Typeform encourages users to build, save and share their first form through a series of getting started guides. They keep their introduction brief but it packs a punch. First, they call their user a “creator”, which can make the user feel empowered, and then they list a few things that will be covered on the tour. Namely, that they’ll be able to create and preview their first form. Then, they guide the user by using thoughtful and friendly copy. Users immediately get a sense of what to expect from the product, and what the value is – the ability to create beautiful yet complex forms in a simplified manner. One of the best parts of in-product messaging is that you can engage with your customer exactly when they are using your product. This also means you have a huge opportunity to personalize the content customers see. With in-product messaging, you can identify key behavior triggers and target the right message, at the right time, to the right user. This is a huge opportunity to get creative and show your user that you care! 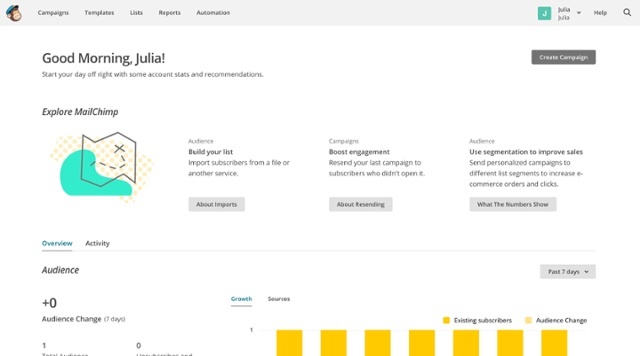 For example, MailChimp personalizes their dashboard for returning customers. Users see a friendly greeting, based on their time zone and first name every time they log back into the product. Engaging with your customer doesn’t just mean “talking”. It’s essential to close the loop by listening, collecting feedback and acting on that feedback. 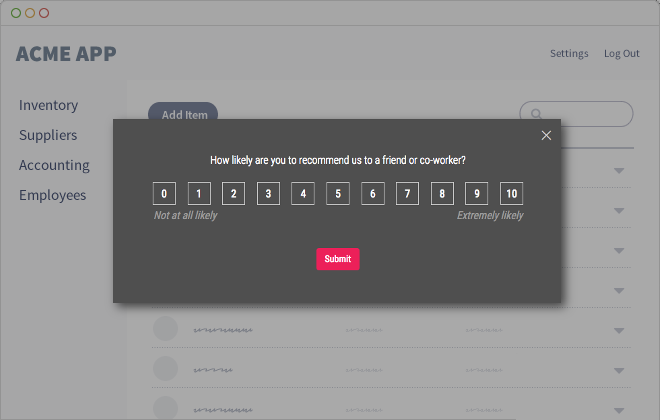 Delivering surveys in-app ensures that you are asking for feedback when your product is top of mind for the user. In fact, companies who integrate their feedback surveys into their product see higher response rates than if they were to send a feedback email. Even more so, asking for feedback upfront can also increase response rates. Pendo is a great example of this. 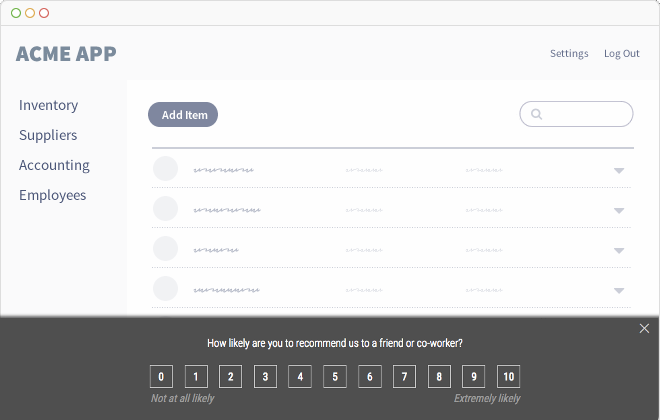 They tested an NPS Lightbox vs NPS Banner and saw a 73% increased engagement with the lightbox. The NPS banner was no where near as successful as the lightbox version. This lightbox NPS survey saw a 73% increase in engagement. In summary, engaging with your users through in-product messaging not only opens up more opportunities for growth – it’s the basis for creating a solid group of advocates. While it may seem overwhelming to get started with in-product messaging, applying even just one of these tactics is a great start. Get a free PDF of The Growth Playbook. Just enter your email address below & we'll send you our entire tactical guide to growth marketing. Yes, measuring TV ad performance is possible. And no, you don’t need a big budget to do it. The key between profitability and bankruptcy is your cost-per-acquisition. Learn the tactics you need to come out on top. Make your users fall in love with your product with these user-centric growth tactics. Published by ClearBrain. Compiled by Diana Arteaga. Designed by Knurture.